We took advantage of the spring-like day to wash the windows of many storms worth of saltspray, and take a peek under the row covers. It’s been a month since when we last checked, and there’s a noticeable difference in revived growth. This is the time of year we crave these greens the most. 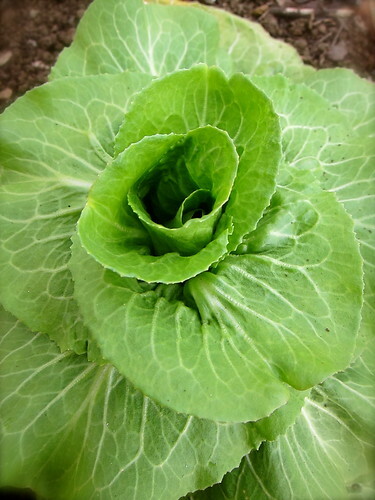 Though the kales are beginning to flower, the leaves are at their sweetest. 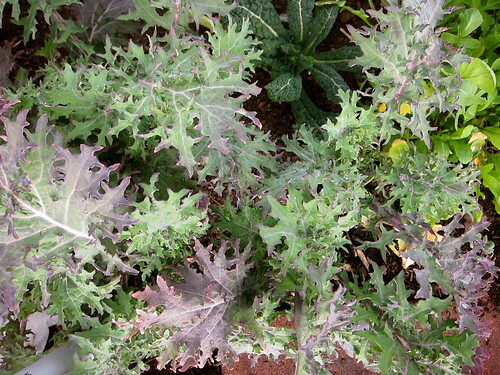 Along with the kale, several rows of arugula have survived the winter, as has the Fordhook chard, and a scattering of salad greens. The outside leaves of this lone Pan di Zucchero, an Italian chicory, have lain themselves flat to the earth, seeking warmth from the soil, while the very center remains upright in expectation of Spring. 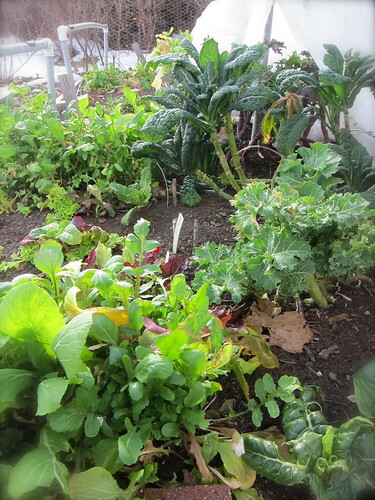 This entry was posted in garden and tagged chard, chicory, kale, season extension. Bookmark the permalink. This post had me smiling the whole time. 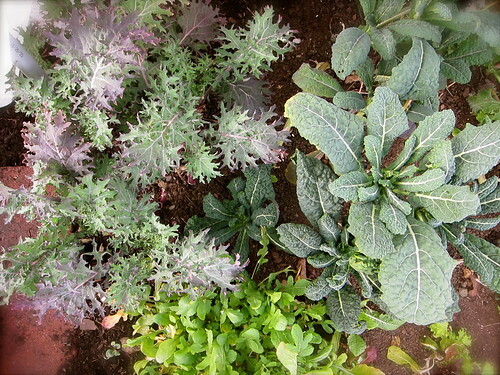 Hail to the mighty strong kale and arugula and the trooper that is Fordhook chard. They are such garden stalwarts, and earn high praise indeed!